The year 2018 showed us that Bollywood film industry’s music directors are up with the times and trends as set by their western counterparts, with many songs combining traditional instrumentations and beats into more western beats. Some even were able to use western instruments to create a uniquely Indian flavour, which suited their audiences very well. Still the great winner in terms of genre was the absolute love song, which seemed to grow to greater heights throughout 2018 from a musical standpoint. While 2019’s films tend to be shifting away from the pure romance genre towards a more periodic-action-fantasy genre fusion, this gives Bollywood’s music directors even more scope for tinkering with the romance songs. Here we look forward to what’s coming up. 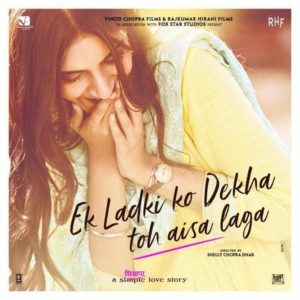 Ek Ladki Ko Dekha Toh Aisa Laga is both the title of the interesting album and a smash hit romantic song of the 90s composed originally by the legend R.D. Burman. With Anil Kapoor starring in this film alongside Juhi Chawla, Sonam Kapoor and Rajkumar Rao, there’s no doubt this will have to have all the flavours that R.D. Burman put into place. Thus, Rochak Kohli has the unenviable job of modernising these songs for this new film, also under the Vidhu Vinod Chopra banner. Look out for this either has a triumph of what modernisation can do or at least a revival of some of R.D. Burman’s best work late in life. Amaal Malik takes lead music director in a collaborative effort for De De Pyaar De. This is likely to be an old-style love story brought up-to-date with lead characters played by Ajay Devgn and Rakul Preet Singh. Just to spice things up there is Tabu very much in the mix and a welcome return for Jimmy Shergill in this romantic comedy. Ajay-Atul, Taniskh Bagchi and Rochak Kohli are also asked to contribute so this should be a thoroughly modern sound with at least one call back to a mid-90s classic that’s bound to be fun. 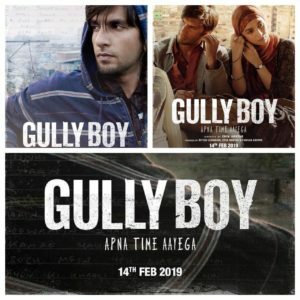 This year’s Valentines Day film is Gully Boy. Under the directorship of Zoya Akhtar, audiences will get a look into the underground rap scene in Mumbai and will also see a love story between Ranveer Singh and Alia Bhatt’s characters. It’s a musical drama, written from a musical perspective by Ankur Tewari. Even though the director may be new or at least upcoming, there is a strong hip hop vibe from what has already been released so this could be very much worth the wait. Following in the Jetstream of Bombairiya is the Balaji Motion Pictures Mental Hai Kya. A quirky title with quirky stars in Rajkumar Rao and Kangana Ranaut, this black comedy certainly looks to have a different flavour to it form the very beginning. Taniskh Bagchi will no doubt bring his modern stylings to the album too, so this could be both a great film with a strong album. The Zoya Factor is a biopic based on an advertising executive and the Indian cricket team of 2011. Like all biopics, this is presenting a story behind the story; one of Zoya Solanki who accidentally becomes a lucky charm for the World Cup winning squad. So far there has been no reports of who the music direction will be done by but with solid character actors Sonam Kapoor and Dulquer Salmaan, the songs will need to hold their own but also be an integral part of the story. This is bound to be an intriguing album. Big multi-starrers always have good music as the music is used to give each great role its own voice. Thus, we are very much looking forward to a period drama/thriller named Kalank. Not only are the star names big in this one, both Dharma Productions and Nadiawala Grandsons have come together to give it all the cash it needs. 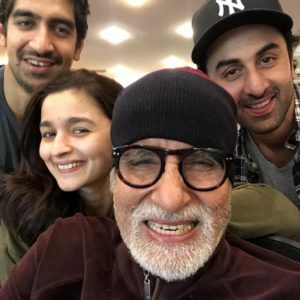 Classic pairings Sanjay Dutt and Madhuri Dixit and Varun Dhawan and Alia Bhatt will no doubt bring their tried and tested partnerships to the screen, leaving Pritam with a hard task ahead to bring a new life to it. Also, to top it off there are Sonakshi Sinha, Kriti Sanon and Kiara Advani all known for their dance ability. 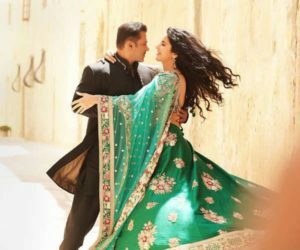 Bharat follows in the trails of (but isn’t one of) the Tiger Zinda Hai series that has made the jodi of Salman Khan and Katrina Kaif a major hit in Bollywood. Written and directed by Ali Abbas Zafar and produced under Salman’s own banner and Reel Life Productions, this is the Eid film for 2019. Thus, Vishal-Shekhar have been tasked as a safe pair of hands with finding a sound distinct from such instant hits as Mashallah and Swag Se Swagat for an Eid audience already in love with this film. 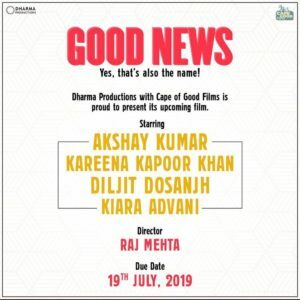 Raj Mehta comes together with Dharma Productions to deliver a comedy in Good News. Starring Akshay Kumar, Kareena Kapoor, Diljith Dosanth and Kiara Advani, there is bound to be lots of fun to be had in this album, putting aside the pun in the title. Whoever the music director will be for this one, they are likely to be laughing throughout with the audience. 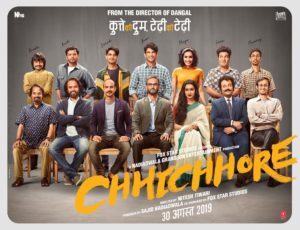 The first look poster for Chhichhore starring Sushant Singh Rajput and Shradha Kapoor shows this film to be a light-hearted comedy but with the strength of the cast available, look out for strong dramatic scenes too. Once again, no music director has been announced yet for this, but this should be an interesting album as there is no doubt the music will play a big part. 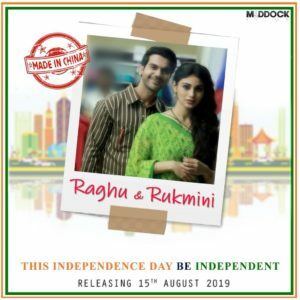 Sachin-Jigar will be taking control of the music for Rajkumar Rao’s film for Maddock Films Made in China. Also starring Mouni Roy and Boman Irani, this feels like a straight drama. This means the music will need to interject and uplift where necessary and being based on a Gujarati story makes Sachin-Jigar well placed to take it on. The album for this film might struggle without the film but will likely be a strong presence within it. 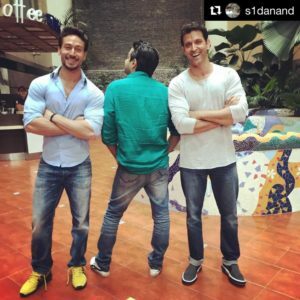 As we head into the end of the year, we are heading down the path of only rumors for now but there can be no limit to the excitement in the as yet untitled YRF film for 2019 starring Hrithik Roshan and Tiger Shroff. No doubt this will be a solid action and romance, with two of Bollywood’s finest dancers on screen. The music being both a YRF movie and a power team in front of the camera will be the hardest, melting both action and dance without losing sight of the romance aspect. 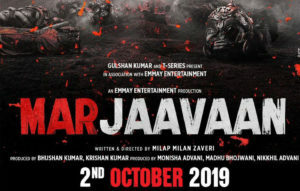 Milap Milan Zaveri also makes his presence with Marjaavaan starring Sidharth Malhotra and Ritesh Deshmukh. Early news on this has this one down as an action thriller with a cast that has several films under their belts. Being a T-Series production, no expense will be spared to get the music right. Finally, Ranbir Kapoor also makes an entrance into the list with Brahmastra. This one also produced by Karan Johar is a fantasy superhero for Indian audiences co-starring Alia Bhatt and Amitabh Bachchan. Details are a little scarce on this but no doubt this one will have an album to remember. So that’s an early look at what’s to come in 2019. Plenty of noise to be had, plenty to look forward to. Some tough assignments for the music directors of Bollywood, both new and experienced but also no lack of fun albums that are sure to keep everyone laughing. It will be interesting to see which define the legacy of 2019 at the end of the year. 15 queries in 0.599 seconds.